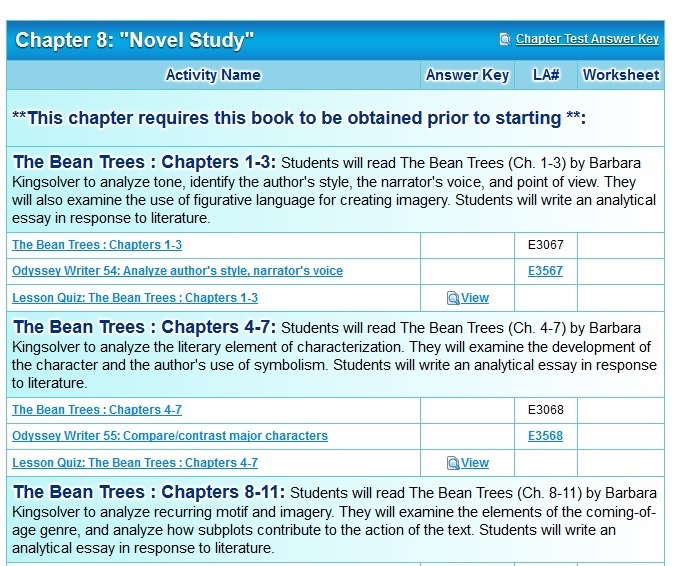 My son is on the 8th chapter of his English III class, and was supposed to start reading The Bean Trees yesterday, however, it does not appear in his toolkit. He checked in the English section and the "View All" section, and it flat out isn't there. I was under the impression that we were supposed to purchase the novels ourselves. I believe that is stated in English 1, before they start The Old Man and the Sea. Yes, that's one of the books that needs to be acquired ahead of time. I found this, though, and I think this is the book in PDF form online: The Bean Trees.